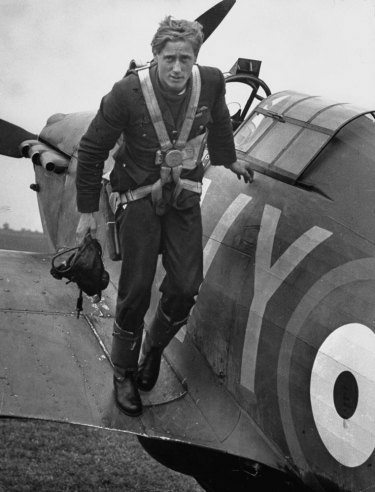 One of the RAF’s leading aces, and one of the highest scoring pilots during the Battle of Britain was Adolph “Sailor” Malan DFC, an RAF pilot since 1936, who led No. 74 Squadron RAF at the height of the Battle of Britain. Under his leadership No. 74 became one of the RAF’s best units. Malan claimed his first two victories over Dunkirk on 21 May 1940, and had claimed five more by the time the Battle started in earnest. Between 19 July and 22 October he shot down six German aircraft. 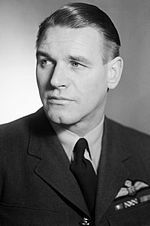 His “Ten Rules for Air Fighting” were printed and pinned up in crew rooms all over Fighter Command. He was part of a group of about 25 pilots from South Africa that took part in the Battle, eight or nine of whom (depending on sources) died during the Battle. Other notable pilots included P/O Albert “Zulu” Lewis, who opened his account over France in May with No. 85 Squadron, shooting down three Messerschmitt Bf 109s in one action. With No. 85 in August, and then in September with No. 249 Squadron under Squadron Leader (later Air Chief Marshal) Sir John Grandy, at North Weald. Lewis flew three, four and five times a day and 15 September 1940 got a He 111, and shared in the probable destruction of another. On 18 September he got his 12th confirmed enemy aircraft. By 27 September, flying GN-R, Lewis had 18 victories. He was shot down and badly burned on 28 September. Lewis missed the rest of the Battle and his recovery to flying fitness took over three months. Basil Gerald “Stapme” Stapleton, with several probables to his credit, survived a crash on 7 September, trying to stop bombers getting through to London. Both men would later command RAF squadrons. 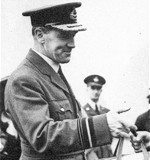 The most senior officer of South African origin during the Battle was Air Vice-Marshal Sir Christopher J. Quintin-Brand KBE, DSO, MC, DFC, Air Officer Commanding No. 10 Group RAF covering the South-West; a long service RAF officer, he had joined the RFC in 1916.